If your computer won´t turn on in the cold or if your computer shows a blue screen and reboots several times, than your computer and the psu is propably affected by failed capacitors. 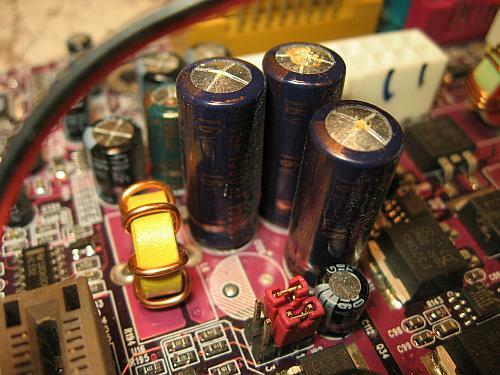 The capacitor plague was a problem related to a higher-than-expected failure rate of aluminum electrolytic capacitors with liquid electrolyte between 1999 and 2007, especially brands from some Taiwanese manufacturers. 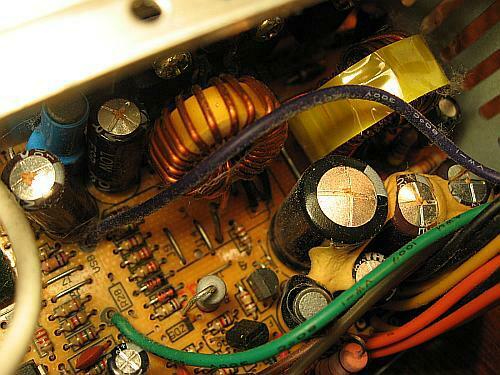 The capacitors failed prematurely due to an insufficient composed electrolyte which caused corrosion accompanied by gas generation, causing the capacitor’s case to bulge, venting the electrolyte and sometimes rupturing the case. How do the failed capacitors look like? 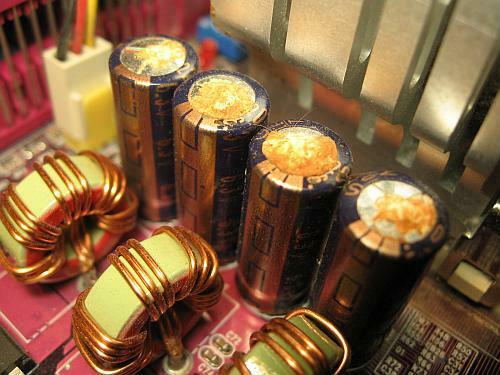 Failed aluminum electrolytic capacitors have open vents in the top of the can, and visible dried electrolyte residue (reddish-brown color). 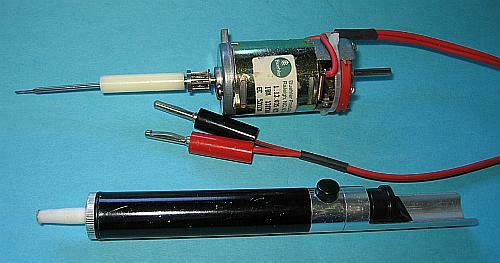 In the beginning the top of the capacitor is blown up. Motherboard with failed electrolytic capacitors. Failed electrolytic capacitors with open vents. Bulged capacitors have to be replaced. • ESR increases to very high values. 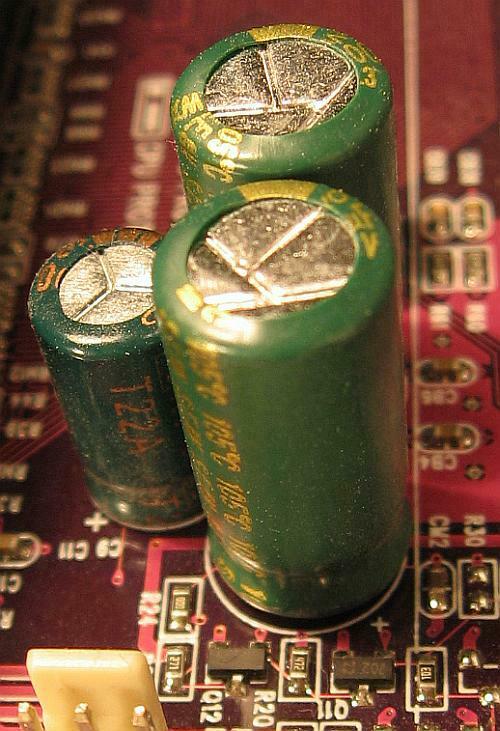 Electrolytic capacitors with an open vent are in the process of drying out, regardless of whether they have good or bad electrolyte. They always show low capacitance values and very high ohmic ESR values. Dry e-caps are therefore electrically useless. E-caps can fail without any visible symptoms. Since the electrical characteristics of electrolytic capacitors are the reason for their use, these parameters must be tested with instruments to definitively decide if the devices have failed. But even if the electrical parameters are out of their specifications, the assignment of failure to the electrolyte-problem is not a certainty. • increased capacitance value, up to twice the rated value, which fluctuates after heating and cooling of the capacitor body. Bad capacitors in a power supply unit. How does it affect the behaviour of your computer? The PC works not stable. When the PC is not warmed up yet Windows crashes. A blue screen appears. The PC will reboot on and on until the PC is warmed up and works stable. The PSU will not start in the mornings when the components are cold. 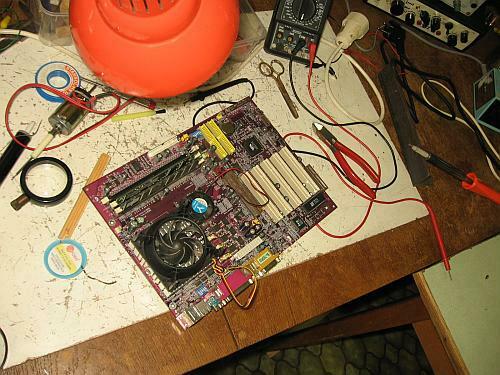 You have to warm up the PSU with a hairdryer and the PSU will start. I recommend replacing the old one by a new PSU. If your PC is still unstable, you have to replace the failed electrolytic capacitors by new ones on the motherboard and in the PSU provided you want to repair your old PSU. My motherboard ist prepared for replacing all the failed capacitors. How to replace the failed capacitors? Take as replacement capacitors with low ESR, with high temperature range (115 °C), with the same size, at least with the same voltage or higher and with the same capacitance. Replacing bad capacitors in a computer power supply. 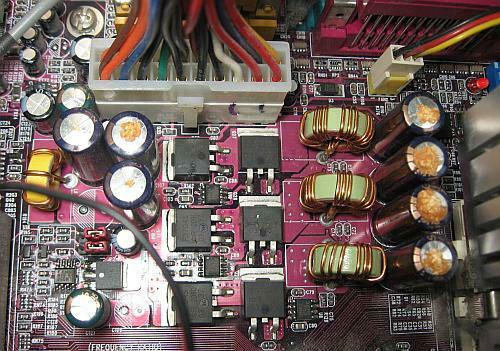 Replacing bad capacitors on a motherboard. For unsoldering the capacitors on the motherboard you need a strong soldering iron with about 100 Watts, because the cupper layers inside the printed circuit boards are cooling down the solder. How do you make them holes empty to put new capacitor in? 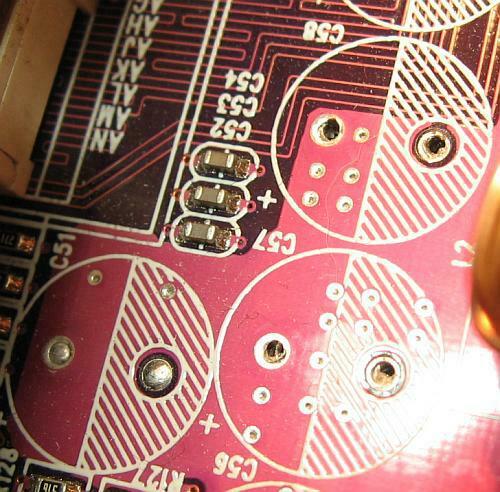 Often there is still solder inside the holes, which you can remove with a stainless needle when the solder is melted. I used a very small drill with 0.7 mm diameter. However you have to be carefull. Don´t destroy the surface inside the holes when you are drilling. Pump for unsoldering and a homemade drilling machine in order to make the holes empty. With a small drill I drilled away the solder away in the holes. 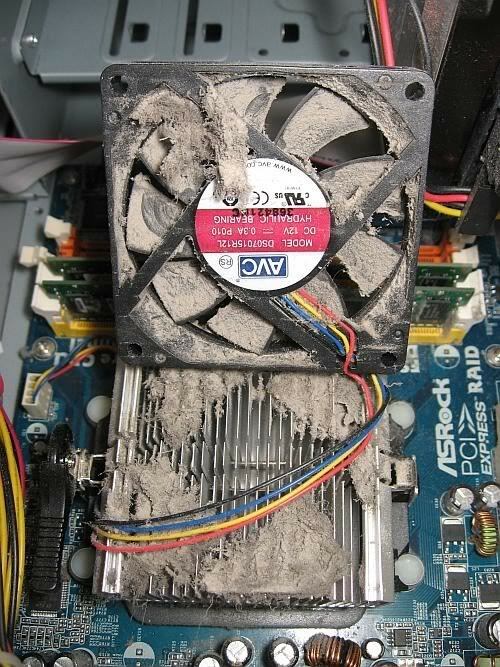 By the way a dusty fan can overheate the cpu. Your pc will crash sooner or later.